Jam were commissioned by Sky to develop a billboard based social media campaign to promote programmes during busy commuter periods which would be showing on Sky's television channels later that evening. The campaign was developed in a close partnership between Jam, JC Decaux and Sky. 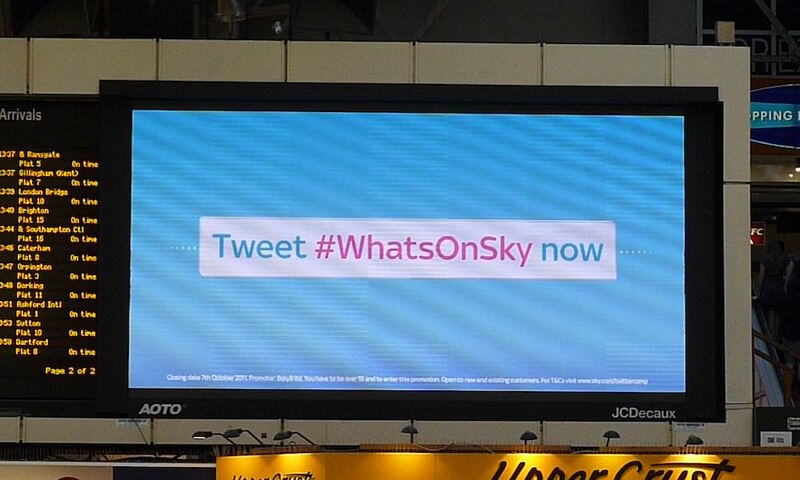 I worked as part of the team at social media agency, Jam, to create an interactive banner to promote Sky television. The campaign encouraged commuters in 18 nationwide train stations, at peak times, to tweet with the hashtag #Whatsonky. 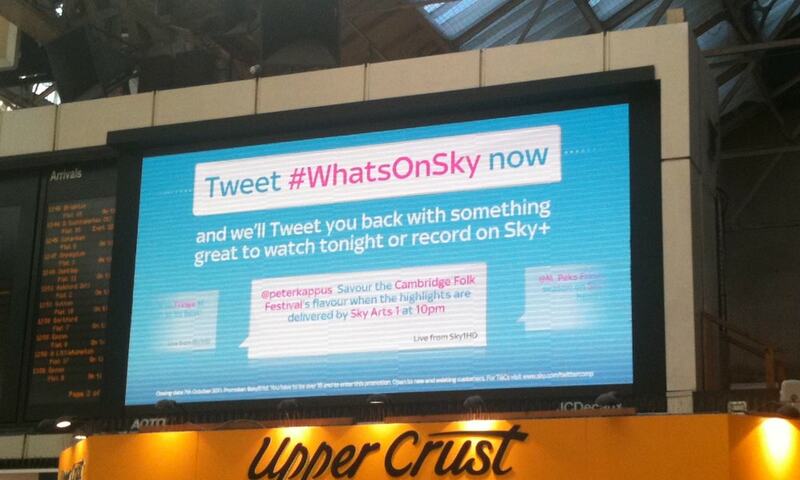 In return, commuters would get recommendations on what to watch on sky that night, both tweeted back to them, and displayed on a JC Decaux Transvision bill board. As the flash developer on this project, I worked with technical guidance from digital signage provider, JC Decaux, to create animation and display a curated live feed of tweets on screens up to 5.3 metres by 2.6 metres in size. In addition to a live xml feed, fail safe measures were also implemented to prevent the animation from breaking in the event of a loss of communication.